This is a little herbal, a little tart, a little sweet, and a lot refreshing! You’re going to have to make a rhubarb purée first, but it’s super easy and delicious. We want to help you thrive while following the low FODMAP diet, and thirst quenching beverages are part of that, too! Here, low FODMAP rhubarb and fennel combine to create a gin-based cocktail, perfect for the warmer months. The fennel takes the form of fennel seeds, which add a herbaceous, almost licorice-like flavor. 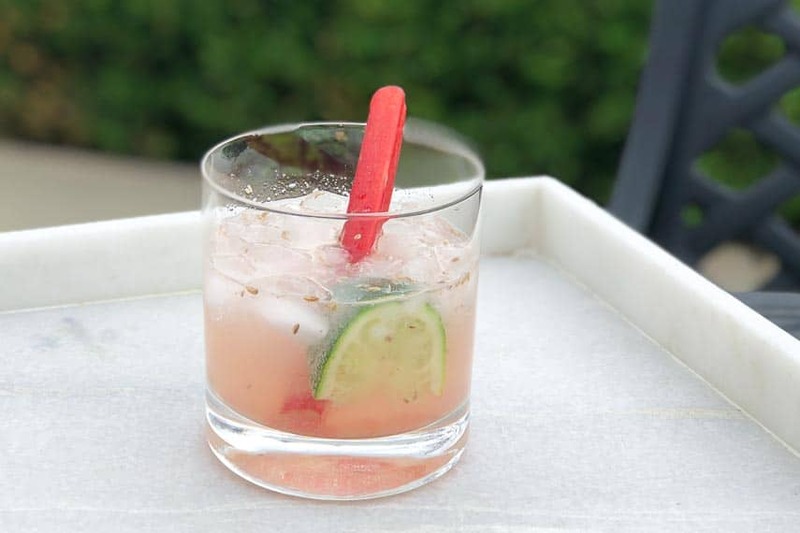 You have to make rhubarb purée first for our Fennel Rhubarb Gin Spritz, so plan accordingly. This drink is incredibly refreshing. Light with a little bit of a kick from gin. You do have to make a rhubarb purée first, so plan accordingly. For the Rhubarb Purée: Combine rhubarb, sugar and water in a saucepan and bring to a gentle simmer over medium heat and cook until mixture is pink and slightly syrupy, about 12 to15 minutes. 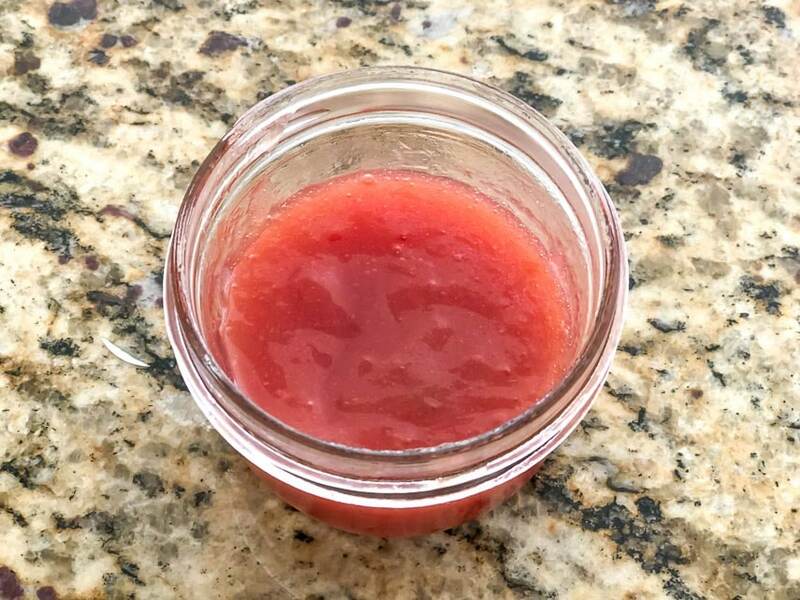 Let cool, then transfer to a blender and purée until smooth (you should have about ½ cup (120 ml) rhubarb purée), you can keep it in your fridge in an airtight container for a few weeks. 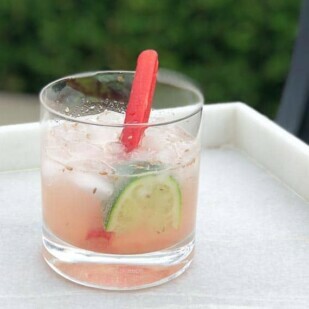 For Assembly: In the bottom of a high-ball glass, muddle the fennel seeds with the gin. Add 2 tablespoons of rhubarb purée. Top off with the sparkling water. Add ice, garnish, and serve. Susan Chatzky is our Cocktail Expert and will be bringing us spirited as well as non-alcoholic drinks – all low FODMAP, of course! Susan enjoys creating drinks with fresh vegetables, fruits, herbs & spices and wants to help you enjoy your beverages while still adhering to your diet. Susan is a well respected women’s rights and health care access advocate and has written for HuffPost.